On November 23rd, members of Charles River Dressage Association gathered for a full day of education, awards and celebration to mark the close of a successful 2013 season. The day began with a clinic at Apple Knoll Farm in Millis, MA. Instruction was given to riders of all ages and levels by USDF gold medalist and up and coming international rider, JJ Tate. While the instruction varied from lesson to lesson, JJ’s central theme was to address the issue of evasion. She explained that horses evade in three different ways: speed, inversion, and crookedness. JJ then went on to assist each rider with identifying how their particular horse chooses to evade and offered solutions to help correct it in order to develop a more balanced and willing partner. After wrapping up the clinic, close to 100 people, including members and their families, gathered down the street at Primavera Restaurant for an awards banquet to celebrate the close of the show season. Along with the awards, members paused to say goodbye to two long serving and dedicated CRDA officers: President Linda Currie and Vice President Kate Champa. 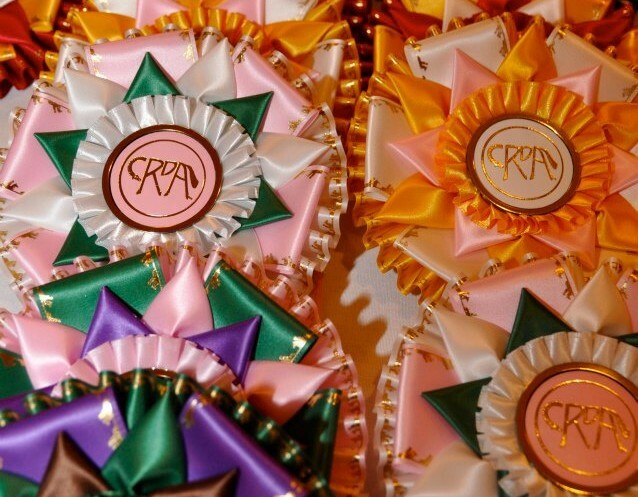 Their commitment to growing the sport of dressage in the local community has been unwavering and their success is validated by recent increases in participation at CRDA events. With the departures came an introduction to the new CRDA officers. Terry Brennan will be taking on the challenging role of president. “I’m very excited to be taking on this role. The club is in great shape thanks to the work of the previous officers. My goal is to keep the success that the club has had recently via our shows, clinics and camp. I’d also like to continue to expand our base of volunteers within the club. The more volunteers we have, the more exciting events that we can offer!” says Brennan who will be supported by new vice president, Anja Rittling. The evening included awards for riders participating in Introductory thru the upper levels along with recognition for riders in the Leadline, Eventing, Riders with Disabilities, Dressage Riders and Vintage categories. Volunteer coordinator, Ellen Straus also gave out a series of special volunteer awards to those who help make the association’s events possible. Dover Saddlery was also applauded for their support of CRDA and the awards banquet. Awards ready for presentation at Primavera Millis. A silent auction was held to help raise funds for next year’s season. Items included tack and equipment, books by local authors, a handmade jewelry box, chocolate sauce (made famous at the CRDA shows) and many other items. Over $1,000 was raised to benefit the association and many left happy with their new treasures. JJ Tate was on hand to congratulate the riders on their achievements and deliver the keynote address. She encouraged riders to not just practice dressage for competition sake but to hold fast to the principals of classical dressage. She emphasized that all horses have a personal best within them and it is the responsibility of the rider to identify and unearth their true potential. It was worthy advice and a solid resolution for the new year.